Have you considered Motorhome or VW Campervan Hire in New Zealand? New Zealand is a popular holiday destination, attracting about two million foreign tourists a year, yet only the fortunate few are able to make more than one trip in their lifetime. If you’re contemplating travelling out to New Zealand, you need to make sure you get the most for your money. Have you ever considered campervan hire? New Zealand welcomes responsible freedom campers and provides many excellent facilities for them. For those who prefer to stick more closely to civilisation, there are plenty of good quality campsites, many set within the most stunning scenery. Peter Jackson’s ‘Lord of the Rings’ films opened many people’s eyes to the awe-inspiring grandeur of New Zealand’s landscape. From ice-tipped mountains to cascading waterfalls, lush rainforests to serene beaches, travellers are often spoilt for choice. By opting for camper van hire, New Zealand visitors can make sure they see as much of the country as possible while avoiding the expense of numerous excursions and the hassle of complex itineraries. When you find something particularly eye-catching, take your time to enjoy the experience without worrying about where the tour guide is. Although it is a large country to take in at one go, with camper van hire New Zealand becomes a lot more manageable. You will no longer be confined to one island; you could marvel at the Mavora Lakes and relax on the empty beaches at Kaiteriteri (South Island) before driving your campervan on to one of the ferries that cross the Cook Strait to North Island. Once there, take a trip to the Coromandel Peninsula and choose between kayaking and trekking through the tropical rainforest. 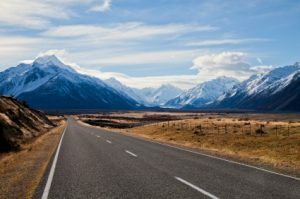 One note of caution: some of New Zealand’s roads are narrow and your rental agreement may specifically disallow you to use the vw camper van on certain, specifically-named roads. Make sure you read your documentation carefully. Travelling can be a disjointed affair, with flights to catch, tour reps to liaise with, hotels to find and transfers to meet. By booking camper van hire, New Zealand can become the haven from stress that many people expect. Once you’ve found a camper van depot (there are plenty near the main airports at Auckland and Christchurch) and picked from a selection of vehicles to suit your family’s size and preferences, you can relax, road map in hand, and enjoy a real family holiday. 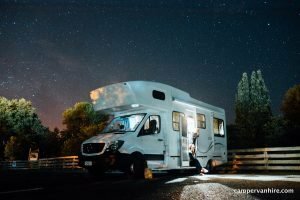 If your family likes their home comforts, facilities on many motorhomes are more than adequate for most and the big vehicles usually include hot running water, showers, toilets, a fridge and a stove. If you’re on the look-out for a campervan of your own, hiring one for your holiday is an ideal way to trial both the lifestyle and specific makes and models.